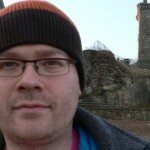 I'm the former head of media for the Green MSPs, now running my own media monitoring business. I used to post to my own blog, Two Doctors, but the more communal atmosphere of this project is working better for me. I'm still an enthusiastic party member, I don't expect to write posts which disagree with party policy very often, but everything with my name on it is obviously my own opinion. Get in touch if you want to contribute a guest post, help deliver leaflets, suggest a game of backgammon, or you need media monitoring.